​Just when it looked like home sales had peaked for the year and were on the decline, national real estate broker RE/MAX reports its May sales set a post-recession record. The numbers show home sales broadly declined in April, as investors struggled to come up with down payments while finding a home they wanted and could afford to buy. Then, May brought an abrupt about-face. RE/MAX said its sales surged more than 20% over April while rising 4.3% over May 2016. Sales were able to climb despite the fact that inventory levels continued to shrink, falling to only a 2.6-month supply. Perhaps because of the continued imbalance between supply and demand, RE/MAX said its median sale price rose to $232,500 -- the second highest in the nine year history of the report. The highest ever -- $236,062 -- was recorded in August 2008, just before the financial crisis. The average number of days on the market fell to 51, a record low. 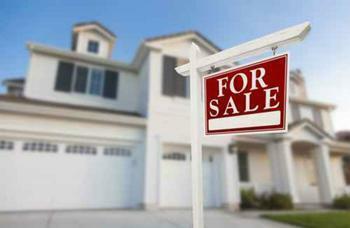 The numbers suggest it is a great time to be selling a house but not so favorable for buyers. In fact, it has been a seller's market for the last year because declining sales in the previous months have been attributed to a lack of homes for sale. The fewer homes that have been on the market have sold briskly and closer to the sellers' asking price. Fifty-two of the 53 metro areas in the survey saw home prices rise in May. "In May, we saw an uptick of both loan applications and home sales, which is encouraging in terms of more people getting into the market for homes," said Adam Contos, RE/MAX Co-CEO. "We don't expect that the Federal Reserve's announcement on Wednesday to raise interest rates a quarter of a point will greatly affect the market's momentum." Contos says the market's momentum may stem from the steady rise in home values and the continued decline in inventory. Buyers are motivated to act before there are even fewer homes for sale and their prices rise even more. The RE/MAX report adds to the evidence that the U.S. has a housing shortage that may not be alleviated anytime soon. It's not just that fewer homeowners are putting their homes on the market, contractors are not building as many new homes. Realtor Magazine, a publication of the National Association of Realtors (NAR), reported that between 2009 and 2016, new construction of housing units totaled 5.6 million. At the same time, 1.7 million units were either condemned or demolished, leaving a net gain of 3.9 million homes. Over the same period, the U.S. population increased by over 17 million, creating a significant shortfall in available housing. So why don't builders simply increase production to meet demand? Because costs have risen, cutting into profit margins on lower-priced homes, which are the ones in demand. Since most home-building is done by large-scale, publicly traded companies, there is less incentive to build homes where the profit margin is thin, since it would likely lower earnings and drag down their stock prices.